Then you need to choose the bits you want to put it inside it. I got some babygrows, a cloth book and a pram toy from Mothercare for this one. 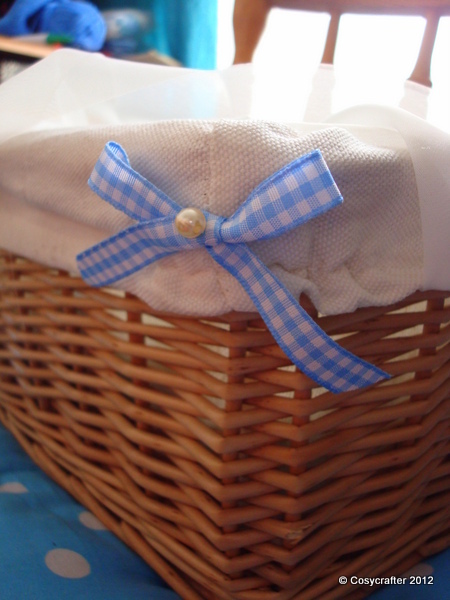 Arrange the stuff inside the basket, cut a wide strip of fabric and tie it in a rough bow around the middle. 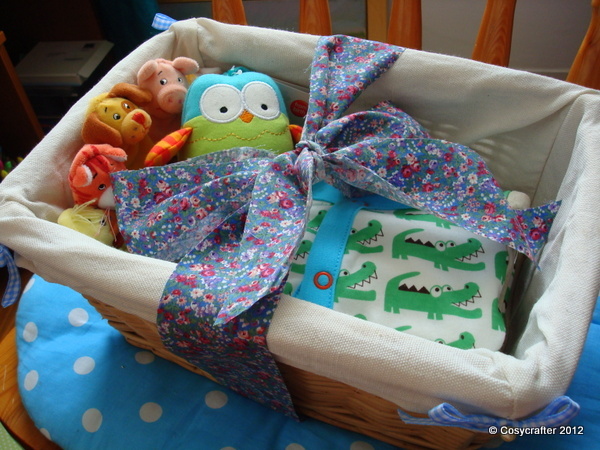 The parents can then use the basket for storage if they like so there is no packaging waste! 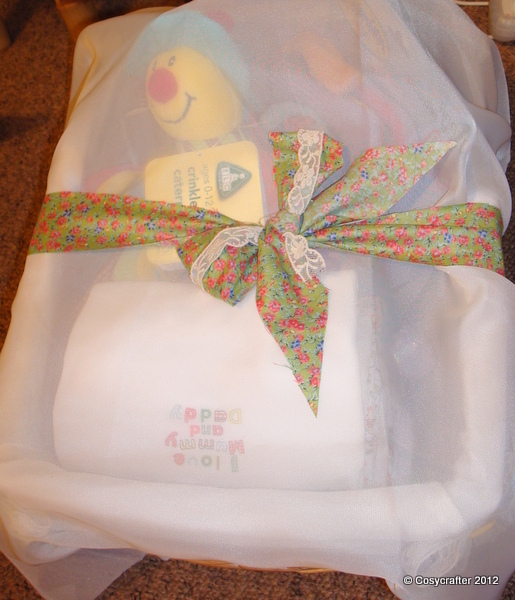 You can also use a piece of voile to cover the items if you want, as I did for another basket.